Theo Walcott scored the only goal of the game as Arsenal edged past Doncaster to reach the fourth round of the Carabao Cup on Wednesday. Arsenal dominated the opening 45 minutes and took a deserved lead into the break following Walcott's 25th-minute strike. However, Doncaster put up a much better showing in the second half and went close to an equaliser late on when Liam Mandeville's shot deflected wide and Andy Buttler's header hit the crossbar, but the Gunners held on to book a home tie in the next round against Norwich. Both sides made a blistering start to proceedings with Rodney Kongolo forcing David Ospina into action low down to his right from 25 yards, before Ian Lawlor kept out a Walcott drive with his leg. Arsenal: Ospina (7), Chambers (6), Mertesacker (6), Holding (6), Wilshere (8), Elneny (7), Nelson (6), Maitland-Niles (6), Walcott (7), Sanchez (6), Giroud (6). Subs: Willock (6), Dasilva (5), Iwobi (6). 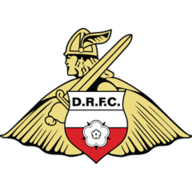 Doncaster: Lawlor (7), Mason (7), Wright (7), Butler (7), Blair (7), Houghton (7), Whiteman (6), Rowe (6), Kongolo (7), Coppinger (6), May (7). From that moment on, Arsenal took full control of the game and they almost took the lead when Olivier Giroud's spectacular overhead kick hit the crossbar before Lawlor was again called into action, pushing away a long-range free-kick from Alexis Sanchez that was heading for the bottom corner. Arsenal's dominance eventually told in the 25th minute and Sanchez was involved again. This time the Chile international's inch-perfect ball over the top picked out Walcott, who controlled with one touch before flicking the ball past Lawlor to give the hosts a deserved lead. Arsenal made a number of changes from their draw at Chelsea on Sunday, but Arsene Wenger still named a strong-looking line-up, with Alexis Sanchez, Olivier Giroud and Theo Walcott all starting. The headline news for the Gunners was Jack Wilshere making his first start for the club in 16 months. For Doncaster, Alfie May and Jordan Houghton came in for John Marquis and Andy Williams. Despite Wenger's side's dominance, it could have been all square heading into the interval. Kongolo slipped the ball through for Alfie May, but the forward's first-time shot crashed into the side-netting from 12 yards. Arsenal, who replaced Calum Chambers with Josh Dasilva at the break, should have extended their lead in the 50th minute when Giroud's pass released Walcott, but, one on one with the goalkeeper, his shot clipped Lawlor and flew over the bar. Doncaster created a couple of decent openings of their own early in the second half as Tommy Rowe sliced wide from the penalty spot and May, who looked like he would race clean through on goal, was caught by the pacey Ainsley Maitland-Niles just before he was about to pull the trigger. The visitors continued to grow in confidence and John Marquis, who replaced May, also almost made an instant impact, slicing over after being picked out by Kongolo. 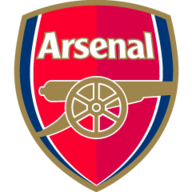 It proved to be a nervy ending for Arsenal as substitute Mandeville's shot deflected off Mertesacker and flew inches wide before Buttler's towering header clipped the top of the crossbar, but it wasn't to be for the League One side as the Gunners held on. The England international made his first start for Arsenal in 16 months and he showed glimpses of what the Gunners have been missing. On an evening where Arsenal dominated the ball, Wilshere showed his full range of his passing, getting the Gunners forward at every opportunity. There were even a couple of timely interceptions in his own penalty area on the rare occasions Doncaster threatened. Although there will be far stiffer tests to come, the 25-year-old bossed the middle of the park and gave a timely reminder to Wenger of what he has to offer this Arsenal side. 90 - This is the first time Jack Wilshere has completed 90 minutes in a match for Arsenal since September 23 2014 (vs Southampton). Back. Arsenal are back in action on Monday evening when they host West Brom, live on Monday Night Football on Sky Sports Premier League. Meanwhile, Doncaster will look to turn around their poor league form when they visit Plymouth Argyle on Saturday.